Pleasanton, CA — March 20, 2019 — NextHome is proud to announce our newest addition to the franchise, NextHome Evolution. This new brokerage represents the sixth office location opened in the state of New Jersey by the NextHome franchise. The Chester-based brokerage will be owned and operated by REALTOR® and Broker of record, Rosemarie Heldmann. NextHome Evolution will provide real estate services such as first-time buyer, investor, multi-family, land, luxury and traditional single-family sales for all of Morris County, including the towns of Chester, Long Valley, Mendham, Peapack-Gladstone, and Bedminster. The Chester Township is located west of Morristown and home to just under 9,000 residents. The town is 40 miles west of New York City and features many Victorian-style homes and palatial estates. While Rosemarie started her real estate sales career in 2014, she has been involved with buying and selling real estate for many years. After a 20+ year career as an owner of a retail jewelry shop, Rosemarie went full time into selling real estate five years ago. As an avid commercial real estate investor, she used that experience to help others buy and sell real estate. “But after having other investors and interested home buyers ask me if I could help them, it made sense for me to help others buy and sell properties as well,” she added. In 2017, Rosemarie attained her broker’s license and opened her brokerage, Fieldstone Real Estate. When not selling real estate, Rosemarie plays tennis competitively. She has been playing tennis on the highest level for more than 45 years – often traveling to play matches throughout the state of New Jersey. She is the mother of four daughters – Erika (30), Paige (27), Olivia (22), and Sophia (19). Please join us in welcoming Rosemarie and the rest of the team at NextHome Evolution on the opening of their brand new office in Chester, NJ! Pleasanton, CA — March 15, 2019 — NextHome is proud to announce our newest addition to the franchise, NextHome Willamette – Vancouver, Washington Branch. This new brokerage represents the seventh office location opened in Washington by the NextHome franchise. The Vancouver-based brokerage will be owned and operated by 16-year real estate veteran and top producing broker, Ben Andrews. The second-generation REALTOR® will lead the office of 7 agents. NextHome Willamette – Vancouver Branch will provide real estate services such as first-time buyer, investor, multi-family, land, luxury and traditional single-family sales to the areas of Camas, Ridgefield, Hazel Dell, Battle Ground, Brush Prairie, and the remainder of Clark County. While in the state of Washington, Vancouver is actually a suburb of the Portland Oregon Metro Area. The city is home to nearly 175,000 residents and has been on numerous lists as One of The Best Places in the Nation To Live. In 1999, Ben’s parents and brother started Willamette Realty. As a family owned brokerage, the company grew to over 40+ agents. As a graduate of University of Oregon, Ben spent six years as a professional track runner specializing in the mile. Once he decided the time was right to retire, he joined his family in the real estate business. In 2003, Ben and his girlfriend at the time (and wife today) Heidi, started as REALTORS® with Willamette Realty. While they built a solid real estate business, it was when they developed their hyper-local focused website, www.PearlDistrict.com, that the business really started taking off. In 2010, the Andrews had their first child, Henry, and that changed a lot for the couple and their business focus. In 2012, the couple sold more than $18 million in volume. “We hired a coach, started putting systems in place, and six years later, this process has allowed us to increase our business, yet take more time to be home with our son,” added Ben. 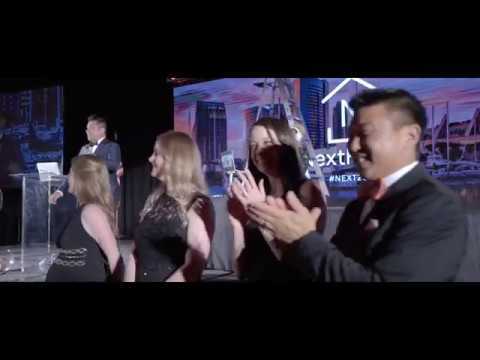 Finding NextHome through a mutual friend and business colleague, Sean Hackney who is the broker/owner of NextHome Northwest Living, Ben knew it was time to start his own brokerage with the franchise. With the growth of the existing office and the client requests to assist on the other side of the Washington/Oregon border, it was the right time to expand into a new market. Please join us in congratulating Ben, Heidi and the rest of the team at NextHome Willamette – Vancouver Branch on the opening of their second office location! Pleasanton, CA — March 13, 2019 — NextHome is proud to announce our newest addition to the franchise, NextHome At The Beach – Miami Branch. The new brokerage is the 49th NextHome franchise location in the state of Florida. The NextHome At The Beach – Miami Branch will be owned by business partners Robyn Stahl and Paige Brewer. They will be joined on the leadership team by the Managing Broker and longtime Miami real estate icon, Sandra Fernandez. The company has agents who will help clients in both Spanish and English. Sandra holds several important National Association of REALTORS® designations including Council of Residential Specialist (CRS), Council of Real Estate Brokerage Managers (CRB), Graduate, Realtor Institute (GRI), Performance Management Network (PMN), Short Sale and Foreclosure Resources Certificate (SFR), Certified International Property Specialist (CIPS), At Home with Diversity (AHWD), Broker Price Opinion Resource Certificate (BROR), and Military Relocation Professional (MRP). She currently serves as the Chair for the Florida REALTORS® Leadership Academy. The 62-associate brokerage will support the entire Miami-Dade County and Florida Keys, which has more than 5 million residents in the Miami Metropolitan Area. The company will provide sales services for residential, luxury, commercial, second homes, multi-family, investment properties, and first-time home buyer opportunities. Robyn has been in real estate since 1986 in various roles as a real estate professional. She served as a mortgage processor and title processor for nearly 25 years before getting her real estate license in 2013. Paige started her real estate career in Louisiana in 2009 and moved to Daytona Beach upon her husband’s retirement from the military. His retirement proved to be the perfect opportunity to move to a Florida beach community. The business partners met while volunteering as members of their local Women’s Council of REALTORS®. While both women worked in the Daytona Beach area, they connected while members of two separate real estate companies. In 2016, Brewer served as the President of the Women’s Council of REALTORS® -Daytona Beach Area Network and in 2017, she served as the District Vice President for District 8 and 9 for the state of Florida. Over the past two years, their NextHome At The Beach location in Daytona has been incredibly successful. As an award-winning office of 20+ agents, expansion was inevitable. With the leadership trio of Robyn, Paige and Sandra, NextHome At The Beach is positioned to see even more success in 2019. Please join us in congratulating Robyn, Paige, Sandra, and the rest of their team at NextHome At The Beach for the grand opening of their second NextHome office! Pleasanton, CA — February 22, 2019 — NextHome is proud to announce the newest addition to the franchise, NextHome Hahn Kiefer Residential in Evansville, Indiana. The brokerage will be owned by longtime Evansville resident and business entrepreneur, Joe Kiefer. As the owner of the successful commercial real estate company Hahn Kiefer Commercial Real Estate Brokers, Joe is excited to announce the launch of the residential division of his real estate company. Joe has brought on Becky Kasha to run the day-to-day operations for the company. She will serve as the Managing Broker and will be responsible for real estate sales, recruiting new agents to the company, and overseeing all legal compliance details. The company will provide residential real estate services for the residents of Vanderburgh County. Evansville is located in the farthest southwest corner of the state of Indiana – located near the borders of Illinois and Kentucky. The city has approximately 180,000 residents, with many moving to the county due to the new home construction that has been increasing the past several years. Joe and his commercial brokerage will be celebrating its fifth year in 2019. As the company has grown market share and expanded the client base, the need for residential real estate services became more and more apparent. Joe knew that adding the residential division would be critical for the growth of the company, so he found a business partner to step in and work that side of the business. Joe and Becky have known each other for more than 25 years. As a former city councilman and county commissioner, Joe met Becky through various political events and activities. As an important member of campaign fundraising and support team, Becky was able to work alongside Joe for many years. In addition to a friendship, the two gained mutual respect for each other – personally and professionally. Becky is well positioned to lead a brokerage and help others achieve their real estate goals. With 25 years as a lawyer, experience as a PGA TOUR Director, and an important member of more than a dozen non-profit organizations, Becky is uniquely qualified to lead and motivate others by creating a positive work environment where agents will feel supported, yet able to independently do their business. Please join us in congratulating Joe, Becky and the rest of the team at NextHome Hahn Kiefer Residential on their new office opening in Evansville, Indiana! Pleasanton, CA — February 14, 2019 — NextHome is proud to announce our two newest additions to the franchise, NextHome RGV Realty in Port Isabel and McAllen, Texas. The two brokerage locations represent office locations #21 and #22 opened in the state of Texas for the NextHome franchise. The offices are approximately 20 minutes from each other. The brokerage will be led and owned by top-producing REALTOR® owner Ronnie Ontiveros. She will handle all day-to-day operations for the company in both locations. She will be assisted on the leadership team by her mother, Nora Flores, who will handle back office details. Scarlett Pardo will serve as the Team Leader for the office. The team at NextHome RGV Realty will handle all types of residential property sales such as first-time home buyers, investors, military and veteran services, land, relocation, foreclosures, short sales, and all forms of residential sales of 1-4 units. With nearly 20 associates between both offices, the company is poised to make a mark in South Texas. The McAllen-based NextHome RGV Realty location will work in the cities of McAllen, Edinburg, Mission, Alamo and the entirety of Hidalgo County. The Port Isabel office will handle clients in the cities of Port Isabel, Harlingen, South Padre Island, Brownsville and the remainder of Cameron County. McAllen is the largest city in Hidalgo County with a population with nearly 150,000 residents. A REALTOR® since 2004, Ronnie started her career in Dallas as a manager for the #1 Keller Williams agent in the United States at that time, Patrick Iommi. Working in that environment allowed Ronnie to learn the ins and outs of running a high-volume, highly productive real estate sales location. After two years, Ronnie decided to make the move back to her hometown of McAllen and started working with a real estate team at Select Properties as a buyers agent. Shortly after, she switched to becoming a listing agent and had a very successful three year run as a member of the team. In 2009, Ronnie and a business partner, made the move to Keller Williams in McAllen. Slowly building her business, her first year at the company, she sold nearly $4 million in volume – a huge achievement in a market where $179,000 is the average sales price of a home. For nearly a decade at Keller Williams, Ronnie was one of the top producing agents in the entire city of McAllen. In 2018, Ronnie sold more than $14 million in real estate. With ten years of high-volume sales, Ronnie was ready to go into 2019 as a business owner rather than just a REALTOR®. After researching several different companies, Ronnie eventually decided to franchise with NextHome due to the strong organizational structure of the franchise. Please join us in congratulating Ronnie and the rest of the team at NextHome RGV Realty on their office openings in Port Isabel and McAllen, Texas!